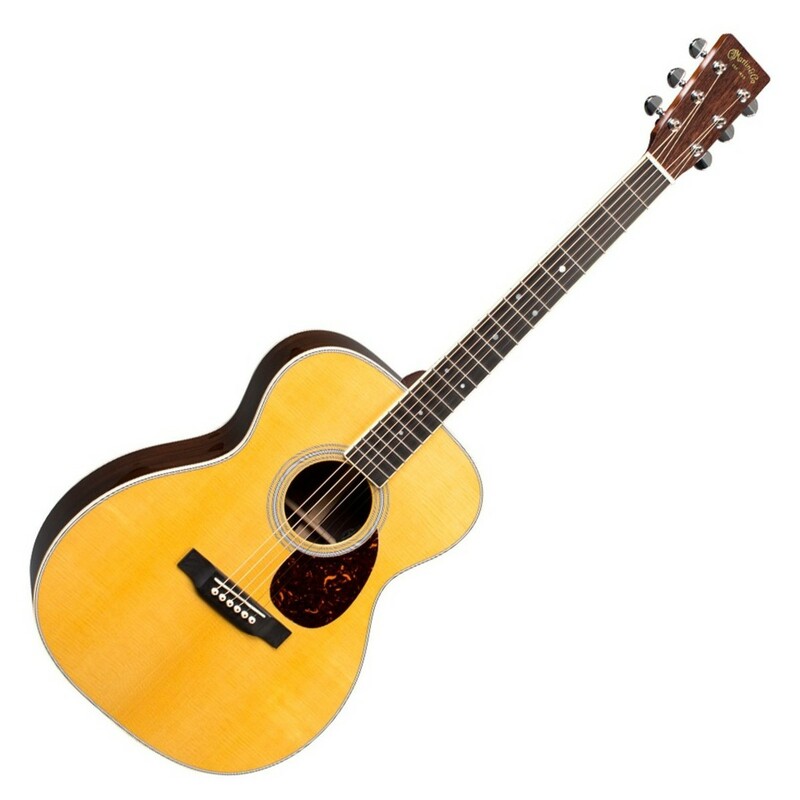 Martin OM-35E Orchestra Acoustic-Electric Guitar -Versatile design works with all playing styles and Fishman Aura VT Enhanced for solid plugged-in play. 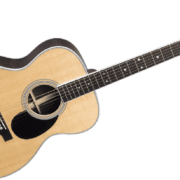 The Martin OM-35E Orchestra Acoustic-Electric Guitar is compact and commanding. Its tight-wasted body delivers a nice, even tone across the entire musical spectrum. 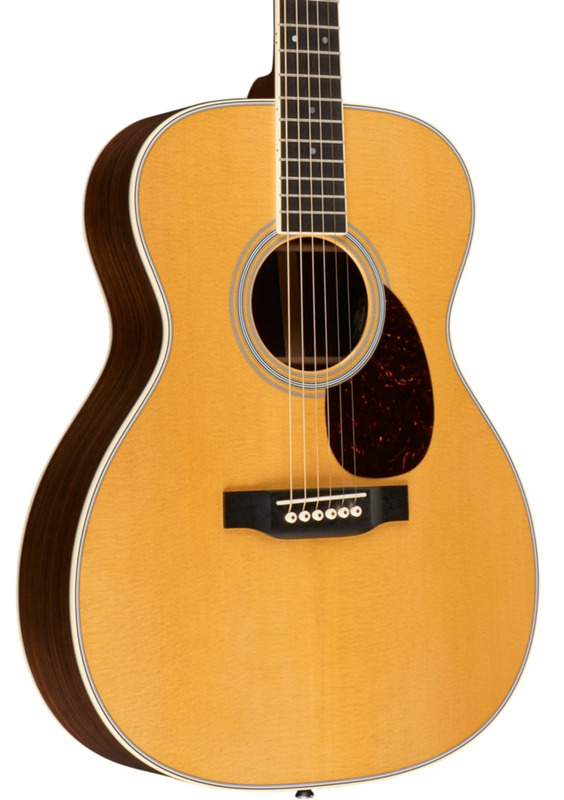 Rounding out the tone, the Sitka spruce top is perfectly tuned with Martin’s 1/4″ non-scalloped X bracing pattern for balance and projection. The 35-style three-piece back is both attractive and functional, as it will bring your bold sound to life. 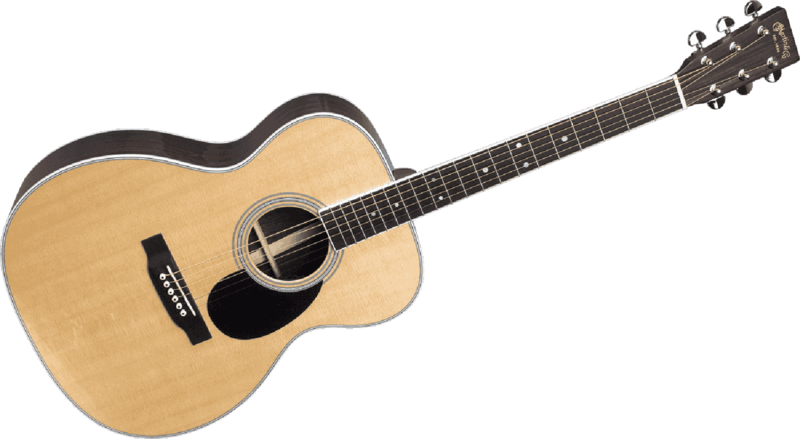 Whether you’re fingerpicking, strumming or soloing, this guitar is versatile enough to do it all. 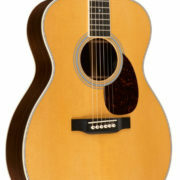 The Martin OM-35E Orchestra Acoustic-Electric Guitar is compact and commanding. Its tight-wasted body delivers a nice, even tone across the entire musical spectrum. Rounding out the tone, the Sitka spruce top is perfectly tuned with Martin’s 1/4" non-scalloped X bracing pattern for balance and projection. The 35-style three-piece back is both attractive and functional, as it will bring your bold sound to life. Whether you’re fingerpicking, strumming or soloing, this guitar is versatile enough to do it all. This revolutionary pickup amplifies the guitar exactly as you hear it being played live. Unlike other pickups that color the sound, the Fishman Aura VT Enhanced faithfully amplifies the sound of your guitar, without adding color or distortion to the tone. It’s like putting a fine vintage microphone in front of the guitar. Every note will be faithfully and accurately transmitted to your mixing board or amplifier. 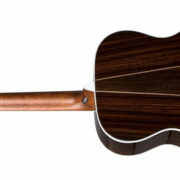 The Enhanced feature is composed of an under-the-saddle transducer that amplifies the “transverse wave” of the sound as it passes through your guitar. 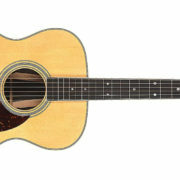 In the past, you would not hear what is going on with the sound inside of the guitar. 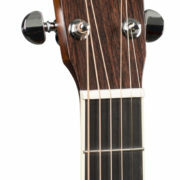 Now, you can blend the pickup with the acoustic sound of the body for addition color and depth. And if you like to rhythmically tap the top of the guitar as you play, the Enhanced pickup accurately recreates that sound as well.